It's that time, folks...we're almost there. What am I talking about? Oh come now, let's not be coy here. It's almost time for bonfires, pumpkin candles, hoodies and jeans. It's almost time for...HALLOWEEEEEEEEEEEENNN!!!!!!! Oh I'm excited. I look forward to Halloween/Fall so much. I mean, I don't hate the other seasons, but I just feel the best stuff of the year happens in the last quarter of the year. The weather, the smells, the feel of opening the windows of my apartment and letting the wind blow in while hiding under blankets and sipping apple cider and watching movies. Doesn't that sound great? It's also a great time to feel youthful. Just something about Halloween that makes even the most stressed out adult feel young and carefree again. Don't agree? Go into a department store, go straight to the Halloween section and tell me you won't be trying on every mask and push the buttons of every single Halloween decoration. It's just a perfect time to be alive! Now, of course, in addition to all the previously mentioned activities and feelings, everything suddenly turns orange, brown, black and purple. Toys, clothes, and even better: food. YES!!!!! 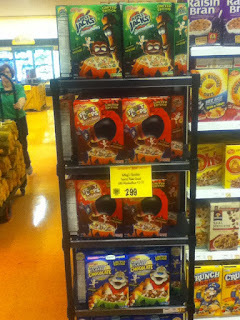 Of course the true champions of Halloween treats are Monster Cereals, ice cream, Oreos, even burgers, as tested last year! So what's going on this year? 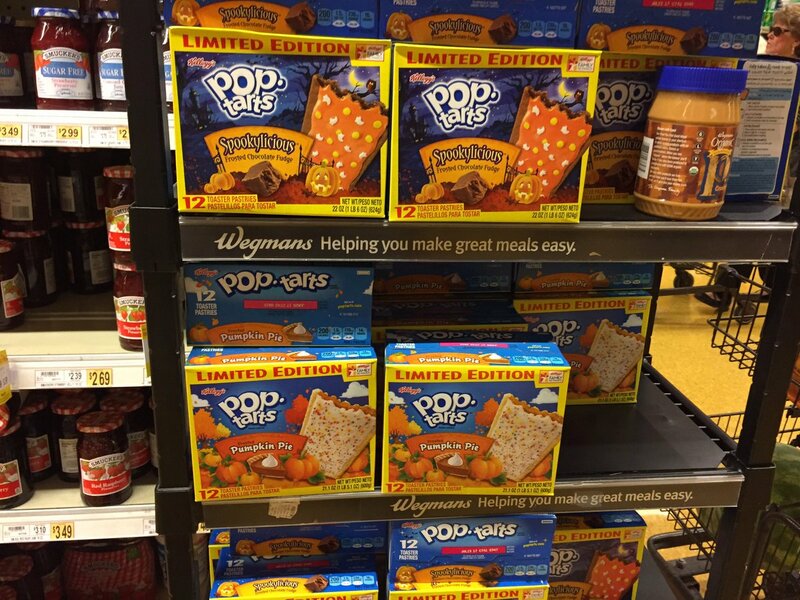 Well, a simple trip to Wegmans for groceries revealed quite a few fun treats in store for me this coming season. 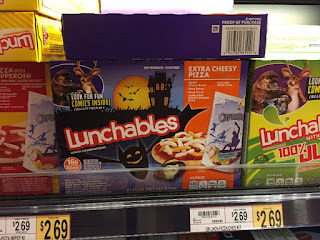 No Monster Cereals...YET...but there were a few things that caught my eye that maybe you will need to run out and grab to get in the Halloween mood! Ok, not a bad way of starting off. Now, I love me some Pumpkin Spice flavored ANYTHING and the last few years have been great for fans. Now, alright, I admit it. Nothing truly tastes like Pumpkin Spice. In fact, I'd be hard pressed to find two things that taste identical. But that's ok, because much like gingerbread, it just works perfectly for the season. 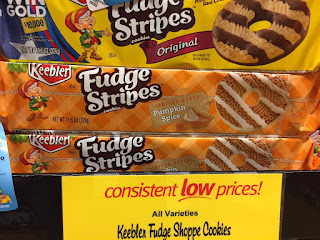 Keebler offers us their Fudge Stripes cookies in the fall favorite flavor. From what I'm told, these were offered last year as well. I don't remember even buying them, but I have a hard time believing they won't be tasty. 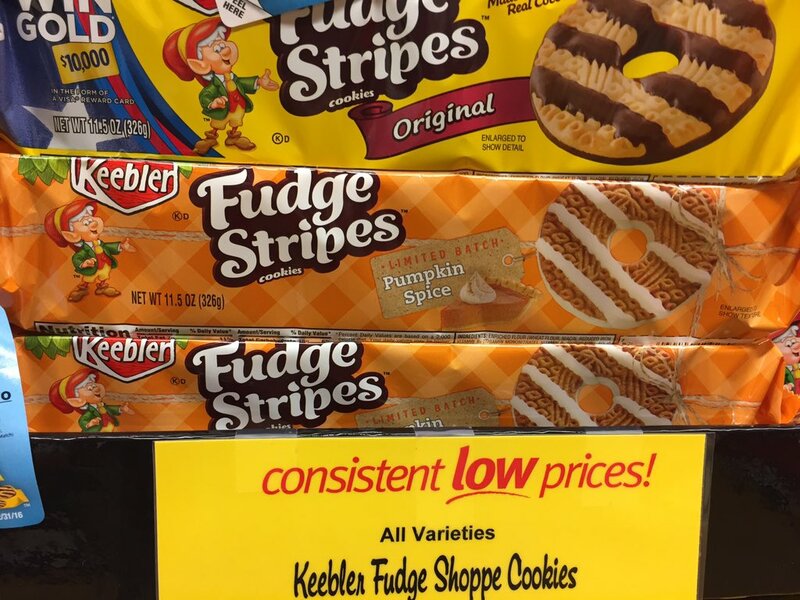 Keebler always delivers so I'm totally down for picking these up this year! What kid doesn't have great memories of Lunchables? I mean, sure, it's probably about as healthy to this entire thing as it is a Big Mac but when you're a kid and you find these in your lunchbox, you're good as gold. Almost like a Kids Cuisine for lunch and not requiring to be microwaving(doesn't hurt though! 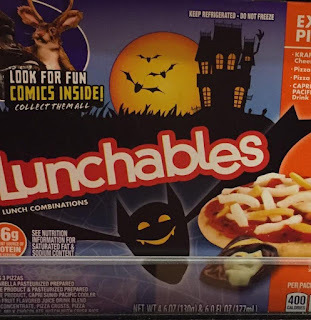 ), Lunchables are not a bad way to spend your afternoon. That said, it seems every year, Lunchables offers fun holiday themed items. Usually, containing the normal meal fare along with a Halloween treat and sometimes a Ghoul Aid(the Halloween KoolAid flavor!) with some awesome packaging. Now, while they don't have Ghoul Aid this year, they do give us a sweet little chocolate witch! I mean, I'd totally eat that cheap pizza for that sweet little witch! Gotta love that bat and haunted house too. I feel like saving this and framing it. It's classic Halloween! Kinda reminds me of something from the late 80s/early 90s. Pretty solid, huh? 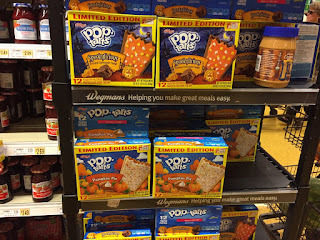 The Pumpkin Pie PopTart(I did not pick it up on this trip) is always a home run. The simple taste of pumpkin (no spice!) is just absolutely delicious. There's not a lot of pumpkin offerings that are on the level of this, I mean, it's just so addicting. I've gone through one box in two days. Not proud but I've done it. Pace yourself, my friends. It'll be worth it when you're toasting these in January! 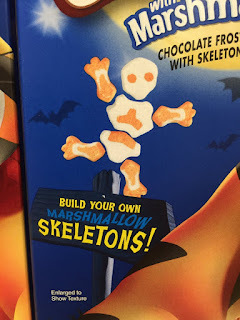 After dealing with the success of Monster Cereals every Halloween, Kellogg's finally threw their name in the Halloween game last year and seems to be at it again. Look at those boxes. Look at them! A little spookier, a little crazier but definitely in the vein of the season. Gotta love that Frosted Flakes especially. It's about time Tony was able to stretch his advertising chops. After all these years, he finally gets some spooky props to play with. And boy oh boy is he taking full advantage of it! To add to the theme of Halloween Cereals(again, ruled by Monster Cereals), every Kellogg's cereal is given extra marshmallows. 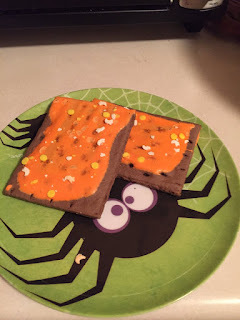 Which is odd, because Apple Jacks, Frosted Flakes and Froot Loops are perfect on their own, but it's almost like the cereal itself is dressing up for the season too. Which is nice. It's hard enough to compete with Count Chocula and the Boys, but hey, you gotta do everything you can! Kudos to you Kelloggs, a great offering! So, let the festivities begin! Halloween is almost here and these treats are a perfect way of getting hyped! I'm like you and really excited for the fall/Halloween season. I need to find those Keebler cookies for my Project Halloween series. Good eye on those.